Welcome to Median Labs. We are a client-focused media production company concentrating on the development of powerful and creative video, digital photography, and graphic design. 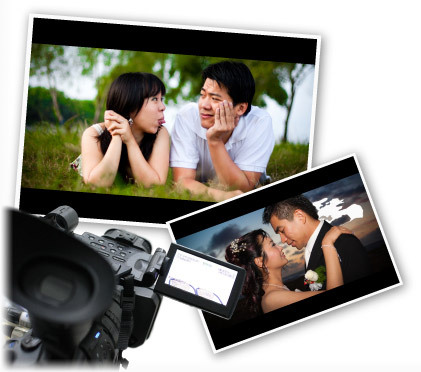 We specialize in Photography, Videography and Creative Design. Check out this section to find out more about our services. Our preferred partners. We work together as a team for a common goal. Drop us an eMail, a message or give us a ring. We will be glad to answer your questions and fill in the gaps. Median Labs is what happens when you mix together talent, passion, creativity and experience. We are a team of innovators and dreamers who are constantly seeking new ways to create and share media. Each of us brings a set of unique experiences and expertise in digital media that makes our circle complete. Median Labs was founded with the goal of being a different kind of entity: getting people to talk about our clients, and add value and purpose to our clients, businesses, image and brand. Median Labs brings more than 36 years of combined online marketing and media experience to your cause. We help spark your business by finding your target audience and getting them to talk about YOU. What exactly is it that we do ? Believe it or not, that's the question we're asked the most. What is Median Labs and how does it work ? Median Labs helps make sense of both your goals and business strategies. We guide our clients on opportunities to reach target audiences via media such as video, photography and creative design. Rachel's camera work has often been described as powerful. This young free spirit can often be found covering events and weddings. Her good hearted nature has made it possible for her to carry a video camera into places that most would find daunting. 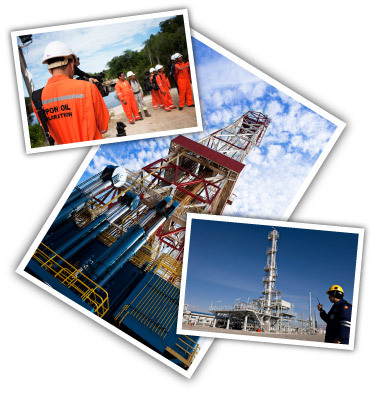 Lo Soon Ngian has produced corporate and training videos in Shell for the past 29 years. Combining his artistic background and experience, Lo's editing skills gives us the confidence to make that final cut from corporate videos to advertisements. His knowledge in the technical aspects of media throughout the years gives us the advantage to create and produce stunning results. Marlene after serving as Art Director for Aussino Global in Beijing for the past 7 years, she decided to give herself berth for more creative freedom. 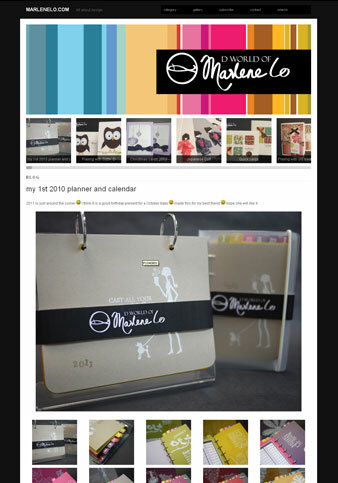 Hence she brings a wealth of experience in Creative design and graphics to the circle. Her warm and yet bold approach towards her designs has seen her work on a global level. 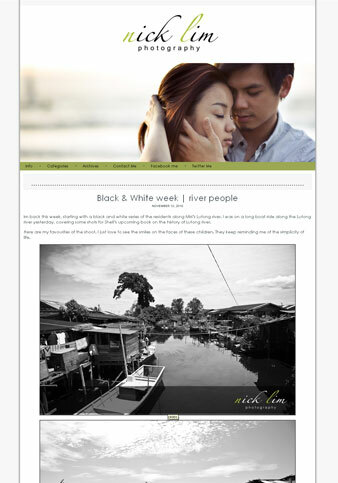 Nick Lim has loved photography since he first laid hands on his camera. His talent in capturing stunning images and emotions has made him a much sort after wedding and corporate portrait specialist. His skills and heart towards his passion has taken him on assignments across the country. Joshua is currently serving as an intern with Median Labs. We look to devoloping him into something exciting. Ruidi's passion in photography has made him stumble into Weddings and portraiture. A computer programmer by occupation, and photographer by passion; Ruidi combines technology and passion to make beautiful images. His attitude towards perfection has driven him to ensure that what's captured is clear and sharp. If you're looking for fashion with a touch of retro, Vanderlyn is your choice. Her easy going and jovial nature just makes you want to smile at the camera all the time. Her creative style in photography is yet another ingredient to the already hot and spicy Median Labs style and culture of photography. Be it your wedding or pre-wedding, a touch of Vanderlyn may just be what it takes to make a difference for your wedding albums. Creativity – A true creative vision over a range of specialties that transcends the simplicity and limitations of a simple technical style. Consistency – The ability to deliver strong imagery in every setup, and to plan and maintain a thematic look appropriate to your particular project. Credibility – Our team works on a professional level with the ability to maintain long term relationships by providing quality and expertise delivered on time and on budget. Median Labs quotes projects on a flat fee basis to keep the process as simple and predictable as possible for the client. We understand your need to know a fixed cost in advance, rather than to find yourself subject to unknown expenses and time. We understand the key components to good business relationships are simple. We do what we promise, for the cost we promise, deliver the best work possible, and do it on time. The presence of video in everyday life has become undeniable. With potential viewers at every computer screen, digital billboard and cell phone, there is hardly a corner of the earth video can't reach. If you and your company have ever considered using video but are unfamiliar with the video production process, talk to us. 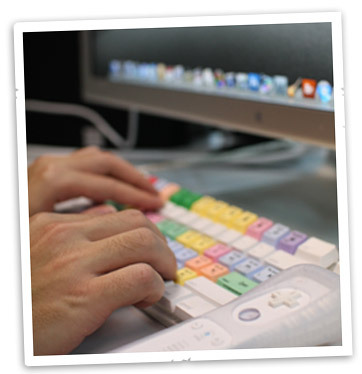 We are here to de-mystify the world of producing video, providing practical solutions in all aspects of production. You are about to spend months planning your wedding day. And when the time finally arrives, chances are you will be completely caught up in the rush and excitement of the day's events. Most brides tell us that they didn't see, or can't remember, much of what happened on their wedding day. That's why they are thankful they asked us to capture their wedding on video. These are the moments you will want to cherish and relive for years to come. 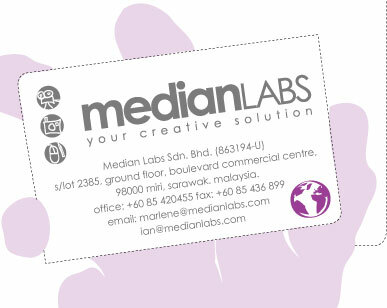 Median Labs is a client-focused media production company concentrating on the development of powerful and creative video, digital photography, and graphic design throughout Malaysia. We offer high quality, attention-getting results that are designed to meet and achieve the specific goals and/or target markets of each individual client. Whether on-location or in the studio, our highly-skilled and professional team will guide you through the development process from concept to reality. The Median Labs in-house production professionals are focused on your vision and have a ‘whatever it takes' attitude when it comes to realizing the goals of your project. Median Labs is committed to providing premiere services for each and every client. We welcome the opportunity to meet with you to discuss how our qualifications would best meet your needs. Capturing real moments and fleeting, intense emotions is almost always what we've been driven to do. Indeed, your wedding is one of the few days in your life when you can live a dream. As the center of attention, you are celebrities, perhaps a king and queen for that one day, surrounded by a paparazzi of guests. with cameras everywhere. Even though this situation is par for the course, it definitely has an impact on how your photographer will cover the wedding. Fortunately, our talented wedding photographers take it all in stride, using the mix of hubbub and adoration to create lasting visual memories. Our talent in photography is granted. But what makes us different from the rest is simple; We offer – a great experience. Have a look at our gallery ! 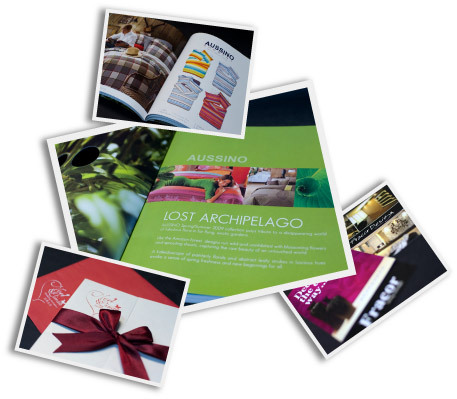 We love making ads, designing brochures, writing clever copy, developing innovative ideas and planning hard hitting campaigns. We believe work should be challenging, rewarding and fun, and we want to work with clients who think along similar lines. Got a Question ? Drop us a Message !